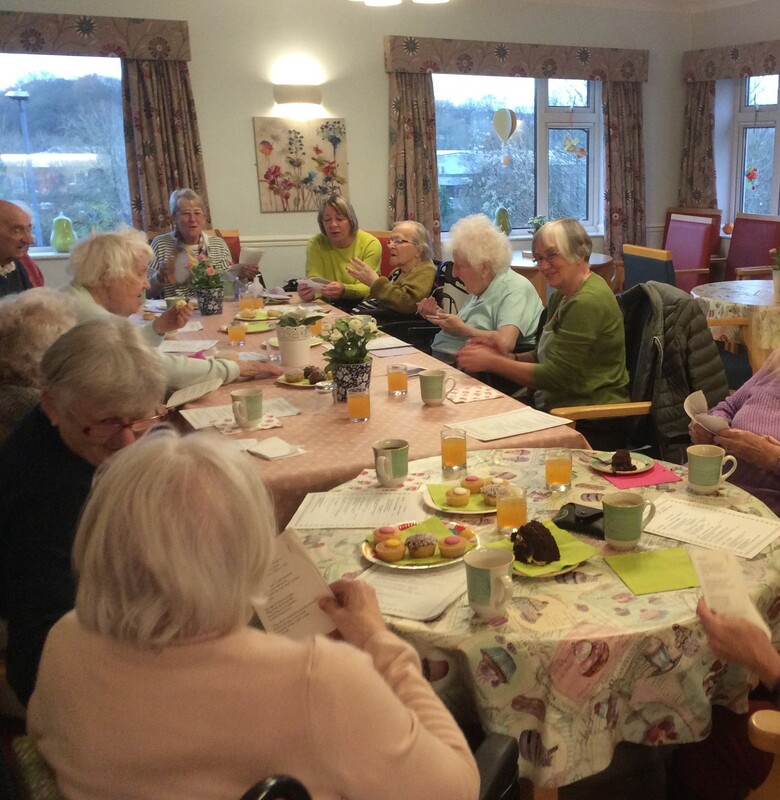 Recently here at Riversway Nursing Home, whilst sat chatting and sampling lots of delicious cupcakes, we all had a lovely time singing Christmas carols together. With ‘O come all ye faithful’ and ‘Ding dong merrily on high’ drifting around the home and the sound of tambourines and laughter, soon everyone was joining in and happily singing along with us, spreading the Christmas cheer around our home. It was a wonderful festive afternoon. A team of caring volunteers from Bristol law firm Burges Salmon stopped by recently to help us enjoy a day of Christmas activities. The fun visit included decorating gingerbread men and houses, making paper chains and decorating the Christmas tree. The team was wonderful and enjoyed mince pies with residents, along with plenty of stories and laughs. We’re so grateful to the ladies who came to make this day so special – the gingerbread men now have pride of place on the tree. We all had a wonderful time at our Riversway Christmas party! 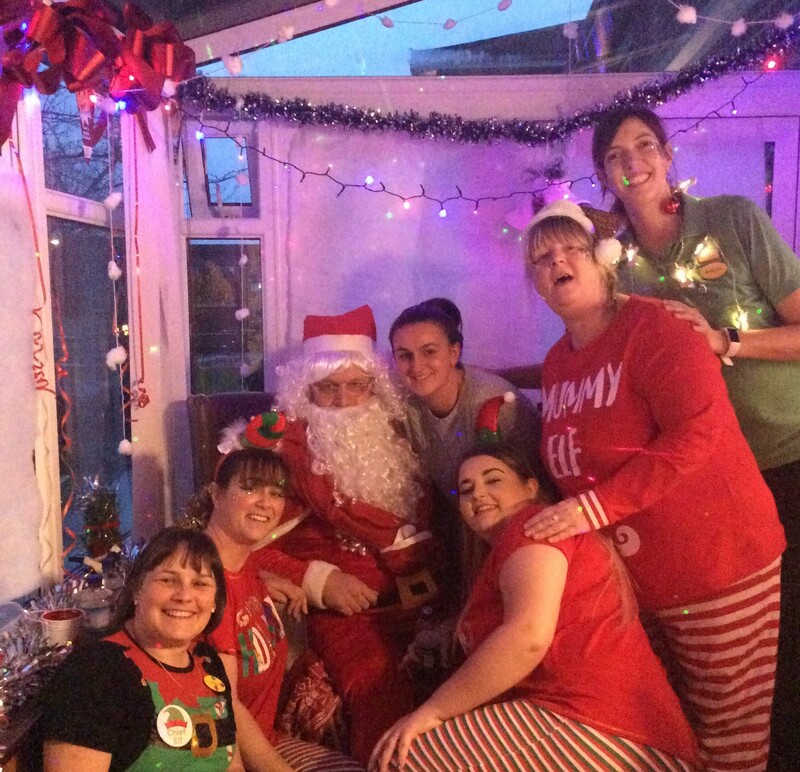 Residents, their families and friends and our staff team were treated to festivities galore and we even had a visit from father Christmas who gave out presents in his new secret santa grotto! The party started with balloon modelling in the morning, followed by a professional face painter creating some lovely body art designs on us. We had lots of great music to listen to and live entertainment with the one and only Andy T, we were able to sing along and have a jolly old time! There was plenty of festive food and drink to choose from and we had a giggle with the staff dressed up as santa’s little elves. The Christmas visit from Noodles (Pet Therapy Dog) wearing a festive bow tie brightened up everyone’s day and there were lots of smiles around. Well done to Brenda, (Hazel’s daughter) who won the Christmas hamper with lots of goodies and all those who won raffle prizes at the Christmas raffle. Last but not least, congratulations and a huge THANK YOU to all staff, relatives and volunteers for making our Christmas party at Riversway Nursing Home so special! 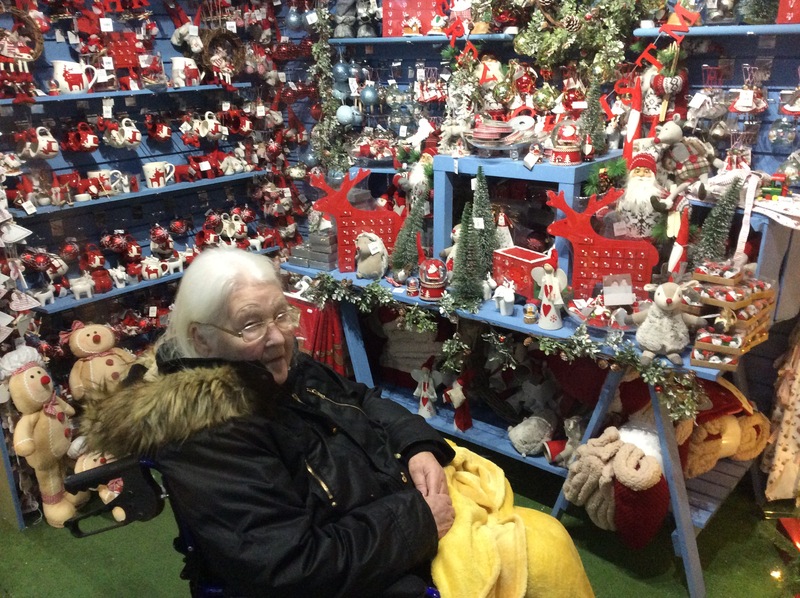 Recently we took a trip to the Whitehall Garden Centre to admire the beautiful Christmas displays. 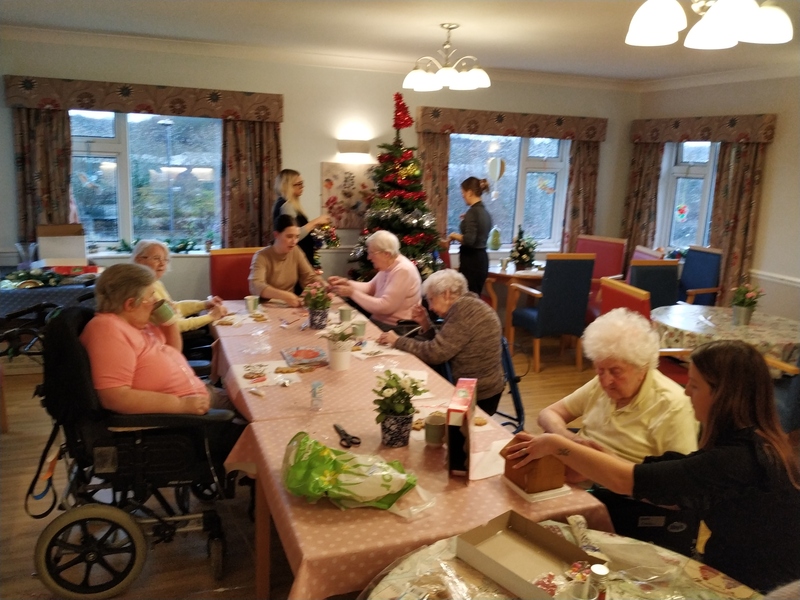 Our residents at Riversway Nursing Home had a good look round the award winning Christmas shops and interacted with the reindeer and all the seasonal displays, they all really enjoyed having a good old browse around and Jeanette said she especially enjoyed looking at the trains and the enlightened villages! After a trip around all the departments and the garden centre we admired the beautiful decorations once more and felt more Christmassy than ever! 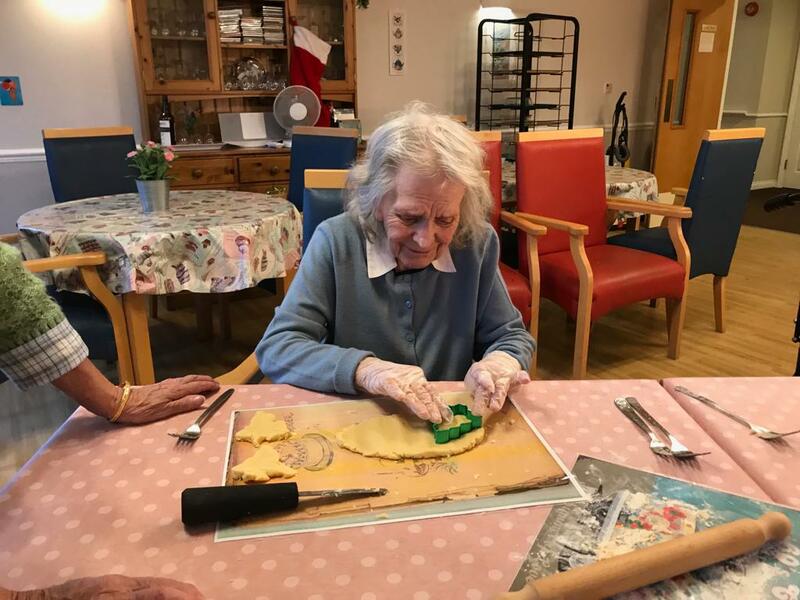 Singing, getting the decorations ready and biscuit making are just a couple of nice fun things to do at this festive and celebratory time of the year! We put on a biscuit making session for those who wanted to get involved in doing the tasty treats. Rolled out the ingredients and made star shaped shortbreads, sprinkled with a little sugar they were delicious, and we had lots of fun.